For more than a millennium, the fox has been a ubiquitous figure at the margins of the Japanese collective imagination. In the writings of the nobility and the motifs of popular literature, the fox is known as a shapeshifter, able to assume various forms in order to deceive others. 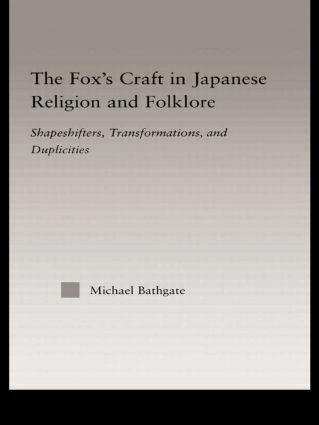 Focusing on recurring themes of transformation and duplicity in folklore, theology, and court and village practice, The Fox's Craft explores the meanings and uses of shapeshifter fox imagery in Japanese history. Michael Bathgate finds that the shapeshifting powers of the fox make it a surprisingly fundamental symbol in the discourse of elite and folk alike, and a key component in formulations of marriage and human identity, religious knowledge, and the power of money. The symbol of the shapeshifter fox thus provides a vantage point from which to understand the social practice of signification.